It is estimated that 1.2 million Australians have diabetes. There has been an increase of 300 percent in the last 15 years. Those with lower incomes are twice as likely to contract the disease as higher income earners. More people die of diabetes in rural areas, particularly Aboriginals. Furthermore, Diabetic women are 27 percent more likely to get cancer, usually kidney, stomach or oral. The rate for men is 19 percent. The reason for this difference is not known. The belief that anti-oxidants extend life has been disproven in animal trials. However, it is planned to treat the ailment by giving supplements of coenzyme Q10 (CoQ). Hopefully, this will raise the level of oxidants thus preventing pre-dabetes. It has been found that a genetic disposition will change gut microbiota before type 1 diabetes expresses itself. Eating the "wrong" food interacts with the unhealthy microbiota and this detrimentally affects the way sugar levels are controlled. 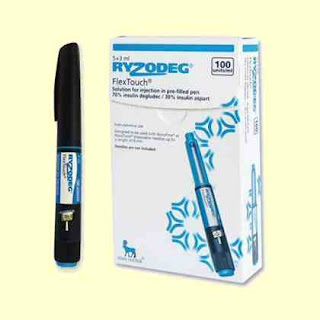 Ryzodeg injection can be given to help regulate blood sugar in both type 1 and type 2 sufferers. It has just been listed in the Pharmaceutical Benefits Scheme. The once a day injection is a revolution in treatment and will reduce the number of diabetes-related limb amputations. the authors said. with an increased any form of the disease, than men A review of 47 studies her blood sugar level that women with the condition involving almost 20 million people has shown for the first time Diabetes is linked risk of developing cancer New study shows diabetic women get cancer more than men with diabetes. are at a greater risk particularly among women, new research suggests. A woman checking of developing xxxxx Diabetes among men The research published in journal Diabetologia. was linked with a 19% higher risk, and needed addressing. are 27% more an affiliate of the University of Oxford, They warned found women with diabetes than women without the condition. according to the findings the gender differences likely to develop cancer by The George Institute for Global Health, were "not insignificant". blood glucose the same with symptoms of diabetes, to receive intensive care any form of cancer may have cancer-causing effects when they first present levels of medications researchers found women and are not taking that heightened as men. of the George Institute, than men with diabetes. that women It is believed by leading to DNA damage. Overall, the said: "Historically we know to develop are less likely with diabetes are often undertreated Co-author Dr Sanne Peters, are 6% more likely. a 14% higher a 13% higher chance. cancer risk for women and we still have much what is driving this, and in the last 30 years but the medical community with diabetes that we undertake for both people with diabetes and of the heightened "